Known for its up-to-the-minute happy hour listings, comprehensive roundups, and wildly fun parties, Drink Philly has carved out a niche in the city's robust drinking scene. If it has to do with craft beer, cocktails, or wine, Drink Philly covers it. Since it’s inception in 2010, Drink Philly has expanded to Drink Nation, covering all-things boozy across our great nation. In this first installment of the Obsession Confession series, we asked Drink Nation's founder, Adam Schmidt, what dishes he craves, whose social media profiles he stalks, and which podcasts he can’t stop listening to. As someone whose job requires him being an authority on our city’s drinking landscape, we figured he’d have some insight on which places, people, and projects are worth checking out. He did not disappoint. What Philly restaurants and food dishes are you obsessed with at the moment? The Tria Wine Cafes have something on their menu called "Truffled Egg Toast with Fontina Fontal," and it's so good I would name my firstborn child after it. You'll often hear me say, "Tria is my favorite place on earth," and I'm still waiting for them to put a plaque up on the wall with my quote. I'm waiting for them to open another location -- in my living room. 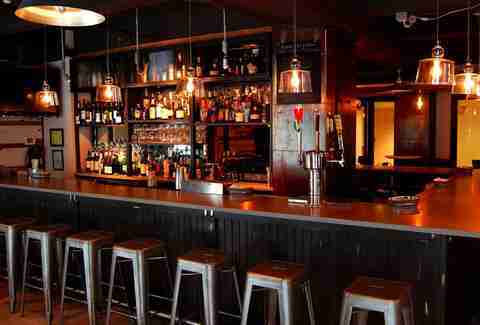 Cooperage Wine & Whiskey Bar has a hidden gem that they don't publicize and everyone needs to try. FRIED OREOS. Enough said. 1 Tippling Place -- the place feels like an old Victorian living room and makes some of the best cocktails in the city. Tell them what you like to drink, and then ask them to make something like it that you've never tried. 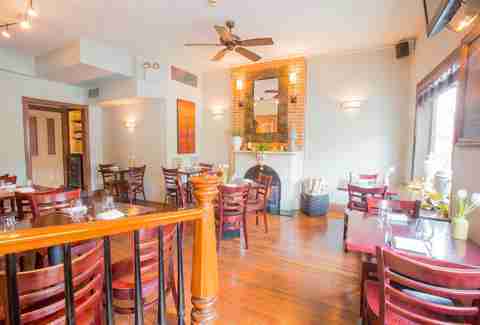 It’s a great spot for experimentation right in the heart of Rittenhouse. What cocktails or beers are you all about? My new go-to cocktail isn't well-known, but it's easy to tell a bartender how to make it. I order a "Last Word" cocktail, but substitute the gin for Laphroaig 10 Scotch. They call it a Peat's Word. It's so smoky and peaty, it's like sipping a crackling campfire. Everyone has their own local neighborhood bar. Mine is McCrossen's Tavern, which is right by my house. They've got a friendly staff and some of the best wings in the city. When I was a kid, I would watch the classic show Cheers, and I never understood why it was such a big deal to go to a bar "where everybody knows your name." I totally get it now. It really does make a neighborhood feel like home. Whose Instagram pics are you double-tapping the most? His photos could be in a magazine. They’re sometimes stark, sometimes fun, and always interesting. We highlighted Aaron's work at [Drink Philly's] Five-Year Anniversary Festival. He's a local talent that needs to be showcased more. Al takes incredible photos of the city. I'm always jealous when I look at his page and think, "I wish I could take photos like this!" Emma is the creator of Philly Love Notes and the #whyilovephilly campaign that promotes the best in Philly. Her feed really shows how great of a city we live in. And it features beautiful photography from people all over the city. What are your favorite Twitter accounts? I love Chris Hardwick and The Nerdist. I watch "@Midnight” every night. Chris is so damn quick-witted and funny, and I want to grab tacos with him. YOU HEAR THAT, CHRIS? YOU + ME + A TACO TUESDAY OF YOUR CHOICE. My treat. This guy is my go-to movie critic. He's comprehensive and fun, and I usually agree with his assessment of a movie. I watch his reviews weekly. This website has their finger on the pulse of local geek culture. Science, comics, events; not to mention a little thing they do every year called the Philadelphia Geek Awards. If you haven’t gone yet, well, you’re missing out. 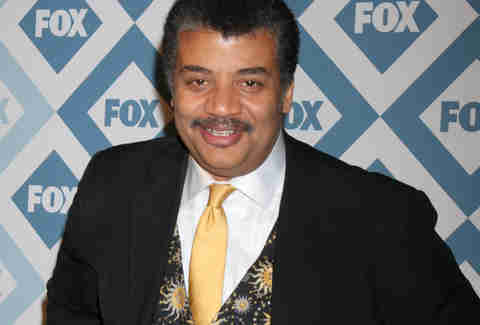 Oh my God, is there anyone more interesting than NEIL DeGRASSE TYSON? I started listening to his show about a year ago, and I was so hooked that I went back to the earliest episode available online. I've listened to almost every single one. They are that good. The best show was when astronaut Mike Massimino referred to using the toilet in space as "serious docking maneuvers." I still laugh just thinking about it. I'm a huge movie geek and this show is like crack for me. They have a bunch of different shows and you may have heard of their hit YouTube videos, "Honest Trailers." What other pop culture are you obsessing over? TV shows? Movies? There's a great movie with the late Alan Rickman called Bottle Shock. It's about the Judgement of Paris wine competition in 1976 in which American wines beat the French wines in a blind tasting. It's a fascinating story, and a great role from one of my favorite actors who left us too soon. 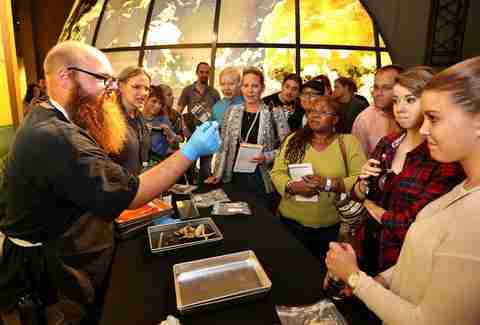 Check out the Franklin Institute’s "Science After Hours" event. You get to walk around the museum with drinks in your hand and see all kinds of cool interactive displays and exhibits. They do it once a month and it's a blast. There's also this new thing out called Star Wars. It's kind of obscure, but if you look hard enough, you can find it. Anna Goldfarb is author of the humor memoir, Clearly, I Didn’t Think This Through, and would take Neil DeGrasse Tyson out for margaritas if he's up for it. You can follow her: @MsAnnaGoldfarb.